A week is a long time in Melodifestivalen: and this year's contest has had a tough time over the past seven days. Firstly, there was the accidental leaking of two song clips (by Sibel & Peter Jöback) which forced SVT to publish the clips on its website a few days early, thus avoiding the need for disqualifications; and then there were several Swedish media articles attacking this year's contest for its poor quality and lack of traditional schlager. The criticism came thick and fast, from columnists, songwriters and previous contestants - all having a go at Christer Björkman's alleged "war on schlager" this year. Then Måns Zelmerlöw fell sick, and there was the possibility of him missing out on presenting duty this week. But the show must go on...'Då kör vi!!" Much to our relief, Måns had recovered sufficiently to co-present this week and looked very nice in his purple satin tie :) Christine meanwhile was dressed in a little blue satin number. She still annoys me though, for some reason. 2: "Magisk Stjärna" - Py Bäckman: Like many others watching this, I thought she reminded me of Ozzy Osbourne :) First military-coat of the night. This was like a Eurovision trip back in time....with backing singers actually standing still and not dancing around in silly costumes. She even threw in a harmonica solo. This was pretty wrong, on so many levels. 3. "Human Frontier" - Neo: Yes, yes, yes! This is the kind of pop song that I like in Melodifestivalen, and there haven't been many of them this year. I liked his outfit although the cane was a bit annoying, anyway visually and vocally he was so reminiscent of Mika. He performed well and by the end of it I had him down as a qualifier. 4. "Thursdays" - Lovestoned: this took the everything-but-the-kitchen-sink approach. Co-written by G:son, and they threw everything at this one - barrel organ, accordion, an Abba-style redhead/blonde girl vocal mix, but in the end it was all too desperate. 5. "This Is My Life" - Anna Bergendahl: former Idol contestant using MF for career-revival purposes. Unfortunately I missed most of this as my webstream chose this moment for its weekly breakdown. 6. "Jag Vill Om Du Vågar" - Pernilla Wahlgren: A woman of a certain age in a short glittery dress - remind you of anyone? Admittedly she was very professional, although this threw in every cliche, cliche, cliche....wind machine, male dancers, being lifted up Paparizou-style and then a big key change. It could have been a lot worse though: could have been Carola. Anyway, once the songs were over it was time for sketch-time. I may not have been too impressed by Christine Meltzer this year but her Malena Ernman spoof was absolutely hilarious. (Anyone think she looked more like Anna Anka though?) Malena sings "Singel"! Malena in the supermarket with her masked sidekicks! Malena crossing the road....oh this sketch was one of the funniest in this year's MF. And then there was Dolph: this week he was off to a gay club and appropriately attired - I didn't get the joke this week though, can anyone explain it to me? The pink feather boa was top though. Top 5 songs this week - Noll Disciplin, Neo, Anna Bergendahl, Peter Jöback and Pernilla Wahlgren. I was pretty shocked that Sibel didn't make it to the top 5. Results time: and a big big surprise - this week's vote-winner was not the foregone conclusion of Peter Jöback, nor Pernilla Wahlgren - but Anna Bergendahl! I think this had a similar impact to Marie Lindberg's "Trying to Recall" from a couple of years ago, or maybe Sarah Dawn Finer, although listening back this wasn't vocally perfect - but it was a passionate performance and maybe the Idol-connection counted for something? Interval act: this week it was a blast from the past, with Mans and Christine singing some very old MF entries - and being joined on stage by the original, truly vintage MF performers - Svante Thuresson, Ann-Christine Barnsten, Claes-Goran Hederstrom, and Lill-Babs. I didn't catch the full interval act as I was watching Gabriella Cilmi, who was the interval-act on "Let's Dance for Comic Relief" on BBC-1 at the same time: I need to get better at this multi-tasking. Above: Anna and Peter, going to Globen (picture courtesy of Aftonbladet). I soooo want Road Salt to win this one but fear the worst: Pernilla will be in Globen, but I would love to be wrong about this! Human Frontier all the way! I think Neo will become one of the biggest stars to come out of this year's MF. Alcazar's stage presence and professionalism will go a long long way. Pernilla & Alcazar to Globen, although I'd be happy to swap Pain of Salvation for Pernilla any day. "Road Salt" has really grown on me. All will be revealed next Saturday night!! If the shark was circling around the pre-Christmas series of "Harry Hill’s TV Burp" then it has gone swimming off in the opposite direction. Harry is back on form, most definitely. And the icing on the cake is ....big fanfare...."The K Factor - So You Think You Can Knit" which has me in (pardon the pun) stitches every week: Knitted-Rolando from "Popstar to Operastar" is an inspired creation. And awww....poor Peter the duck. The British version of "Wallander" made a brief but reassuringly bleak return to BBC-1. In the hands of its Swedish cast it always makes for a watchable ensemble piece; but the British version is far too reliant on Kenneth Branagh pushing the misery-meter up to 10 and far too much time is wasted on sighs, close-ups and long non-verbal stretches of gloom. Still worth watching though, but the Anglicised pronunciation of Swedish names is laughable. Good news for fans of the vastly superior original: BBC4 will be showing a new series of the vastly superior Swedish series in the spring, and fhey’re currently re-running the first English language series, if you’re interested. "Strictly" may be gone for another year, but this month it's all been about dance. I didn't tune into Sky One's "Got To Dance" - a 'Britain's Got Talent' for dancers, you might say - mainly due to my aversion to Davina McCall (but that's another story) anyway a few of my work colleagues did though, and seemed to enjoy it. Hot on the heels of that show, Sky One has brought us "Pineapple Dance Studios" which is a mix of reality TV and the fly-on-the-wall docusoaps which were a popular fixture of British TV during the early part of the 90s before the reality-bug bit....anyway this is a very entertaining way to pass an hour, helped along by the reassuringly flamboyant Louie Spence (pictured above, courtesy of Sky One), who would probably have reached the dizzy heights of, say, Jeremy "Airport" Spake or Maureen from Driving School had it been 10 years ago: I'm not sure if he'll achieve cult status now, although he became an instant hit at EuropeCrazy HQ. Still on British versions of ‘foreign’ TV shows, I’ve been a fan of the American TV show (which admittedly was a British idea) "So You Think You Can Dance" for a while. Our home grown version was recently screened on Saturday nights on BBC1, and what I particularly liked about it was that there were no "celebs" involved - just ‘ordinary’ people (well, the kind that compete on reality talent shows anyway). It was a clash of egos on the panel: ‘Nasty’ Nigel Lythgoe and Arlene Phillips, both of whom now look younger than ever, dare I say? If this goes on Ms Phillips will look even younger than Alesha Dixon, whom she was axed to make way for on "Strictly " :) Anyway there was an extremely high standard of dancing throughout, not to mention some drama, as the (IMHO) overrated Mr Hudson-lookalike Robbie was floored by injury, leaving Lizzie, Tommy (från Sverige!) and Charlie to contest the final. I would have been happy with any of these contestants winning, but in the end the viewers (helped along by, dare I say, a bit of encouragement from the judges) chose Charlie Bruce (pictured above) as the winner. There will be another series, which is good news....but does Cat Deeley really need to tower over everyone in those six-inch heels? Finally, I like to see a good music documentary, and BBC4’s "Latin Music USA" series certainly fitted that description. Week by week it has told the story of how the Latino communities in the USA have influenced the country’s music over the last century - and there were some fascinating stories to be told. But before the new year kicked off, surprisingly, the end of the last decade brought little commemoration, two exceptions being Channel 4’s list-shows "The Greatest TV Shows of the Noughties" and "The Greatest Songs of the Noughties" (I HATE THAT TERM!!) Anyway both yielded very unsatisfactory chart-toppers, "Top Gear" and "Chasing Cars" respectively. Talking of that dreary-anthem, the programme which made it famous returned in January. After that end-of-series ‘who survived’ cliffhanger on "Grey’s Anatomy", the question was answered - George died, and Izzie lived. Unfortunately (IMHO) the shark is once again circling around Seattle Grace, and I’m not entirely thrilled about the merger-storyline either, nor Mer & Der’s post-it marriage either. "Grey’s" losing its way? Possibly. One of the biggest shows in the USA finally arrived here at last, and it’s becoming a phenomenon. 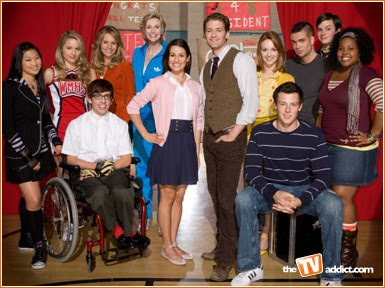 Of course I mean "Glee" which is getting very good viewing figures and taking the top 40 singles chart by storm in a way not seen since "Fame" almost 30 years ago. What’s so special about this show then? Well, simply the quality of the scriptwriting which is so sharp and funny, and the whole thing provides a very agreeable way to spend an hour, without being HSM-sickly-sweet. I never got round to my series round-up so I might as well go with my "Strictly Come Dancing In A Nutshell" (with apologies to Harry Hill! ): Craig Kelly was rubbish, got evicted in Blackpool Tower Ballroom, Brucie got sick, Laila got injured, Jade got injured, Jade remained injured, Jade left, Chris Hollins was an irritating little dancing hobbit with stupid facial expressions, ditto, ditto, ditto, Ali & Brian were robbed, Ricky & Natalie were robbed, the hobbit won, Ali & Brian deservedly got their revenge and won the Christmas special. Whether controversial judging choice Alesha Dixon will return next series is anyone’s guess, while guest judge Darcey Bussell didn’t really add anything to the panel. Add to this the tension between Craig Revel Horwood and Len Goodman which could get a bit much at times: surely there will be an overhaul of some description in time for the next series? And if the recurring rumours are true....then it could be Alesha out, and Arlene back in....? Over the Christmas and New Year period, I spent a lot of time catching up with some films I’d taped off the telly. Being a child in the early 70s I remembered a lot of stuff on the news about "Watergate" but I wasn’t really familiar with the real story of former US president Richard Nixon’s downfall, or its aftermath. 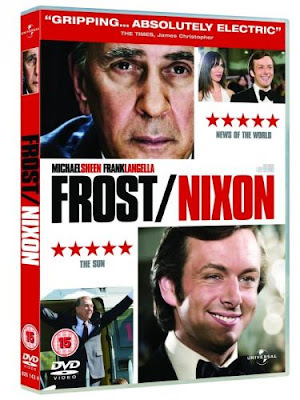 "Frost/Nixon" was a very good film with compelling performances by its leading actors, and the story simply focused on a series of interviews between David Frost and Richard Nixon, which was a true story that I knew nothing about before the film. Well worth watching. 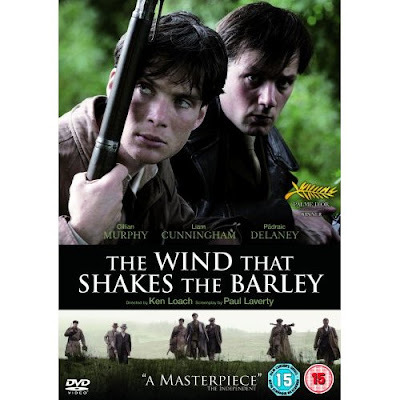 Ken Loach's "The Wind That Shakes The Barley" is a fictional film from a few years back, but which was based on an actual period in recent history - the lead-up to the founding of modern Ireland. A gripping film which pulled no punches and spared no brutality: and its focus on two brothers eventually finding themselves on opposite sides also made it a very engaging film. If you like undemanding festive fare then Christmas 24 was the place to be over the festive season. A movie channel from the people behind True Entertainment (which is also a wonderful place for a TV-movie-wallow, if you’re partial to that kind of thing), it certainly kept us entertained during a time when there was very little else to watch on the box. Yes I know I have a tendency to over-use the exclamation mark but in this case it's justified. A couple of other fascinating things I found out from this interview: Daniel Adams-Ray is also doing a solo album (yay! ); Oskar is no longer with Veronica Maggio (aww, I thought they were good together too) and Oskar's stepfather is none other than Swedish schlager legend, songwriter Danne Attlerud! The new album will be out this spring, and it will be one of my most anticipated releases of the year ahead. 'Leak-Gate" forces SVT to release MF clips today! Oops...following a couple of next Saturday's songs being leaked (or was it just clips of them, I don't know?) SVT decided to release all the song clips today rather than next Friday, in order to avoid any unfair advantages to the songs in question. So here's this week's line-up....and you'll be delighted to know that I'm still not all that impressed! 1. Stop - I love Sibel's fabulous new look (that fringe, those eyelashes) but this isn’t quite as fabulous - however I’m happy that she’s doing something uptempo and I think she’ll do this song justice on the night. 2. Magisk stjärna - Despite Py Bäckman's long history as an artist and singer, I thought this was disappointing, and based on the clip it was just boring to these ears. 3. 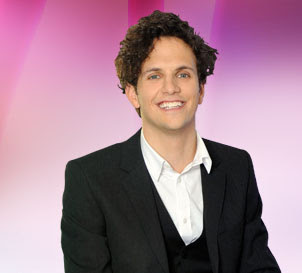 Human Frontier - ooh he’s got Mika-hair and he even sounds like him too. This probably won’t qualify but there was something about it that I quite liked on first hearing. 4. Thursdays - Is there such a thing as reggae-schlager? With accordions. As you do. A pleasant enough song if a little old-fashioned, but enjoyable in its own way. And G:son wrote it. But he has been spreading himself thinly all over national finals in recent years, so qualification isn't a foregone conclusion anymore. 5. 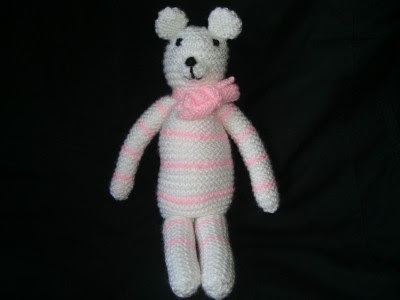 This Is My Life - Bears no similarity to the wonderful Euroband. It's a pretty dull, by-the-numbers ballad, but she does have a good voice and a good performance on the night could carry it to Andra Chansen. 7. Idiot - Despite Crucified Barbara and Pain of Salvation’s qualification I don’t think the voters will go for this Green Day soundalike. 8. Hollow - it’s the best draw position in the whole of Melodifestivalen and that counts for an awful lot. Unfortunately it’s one of these big building showstopping ballads which will no doubt have a few key changes to spare....but dare I say it left me, um, ‘hollow’? Predictions: It's all about name-recognition this week, so the much-loved Peter and Pernilla will effortlessly sail through to Globen; Andra Chansen is wide open, but if they put in good vocal performances it very likely will be Sibel and Anna. I want "Human Frontier" though!! Computer = traditional 7.15 pm (British time) strop = resulted in missing most of Alcazar which I was really p****d off about, anyway I got back in time for "we're on top of the game" and then the key change and then....oh just send this to Globen. I love Alcazar, and even when it's not as good as previous years, I'm happy that they are still around. Although I've got this feeling that this will be their last time at MF, in the same way I felt about BWO at MF 2009. But I digress. Next up is Johannes Bah Kuhnke, with "Tonight" which again sounded better than the pre-contest clip, although I never rated it as a qualifier. He did his best though but it wasn't good enough. And so to Elin Lanto with "Doctor Doctor" Unfortunately it was a foregone conclusion that she would fall victim this week to the MF-non-qualifying curse. Her PVC-leggings ensemble was very nice though:P and the song will probably do well outwith the contest. Unlike "Yeba" by Getty Domein: had high hopes for this one and a potentially colourful stage performance....and it just let me down. And so to Darin. Arguably this year's most long-awaited entry (unless you were me, of course, in which case that accolade clearly belonged to Salem Al Fakir. Obviously.) anyway there Darin was, in a white jacket and black jeans, and blue lights being waved by the audience....it was all very awwww...nice, although I prefer him in uptempo-mode. But first there was the interval act shenanigans, which meant Dolph and Christine-as-Lisbeth-Salander - anyway this was really funny as ever, and the torture-by-schlager was right up my street :) and then there was the Blue Man Group, who did their usual banging-on-pipes thing as this week's interval act. Result: Timoteij till Globen. Surprise result, but not toooo surprising when you think about it. To Andra Chansen: Alcazar.....and Crucified Barbara. However all in all I found this week's MF heat to be a bit laboured and even though I always enjoy it, I was pretty glad when it was all over. And while we're on the subject: let's have some classic Alcazar: my favourite Alcazar song ever to be precise - "Crying At The Discoteque" - http://www.youtube.com/watch?v=_bWSDaAdrBM = now I wonder how well that would have done at MF, back in the day ???? 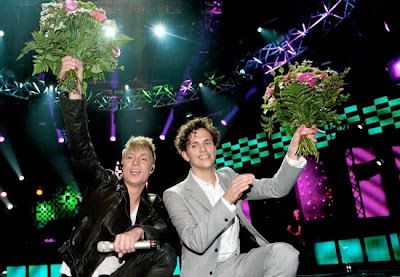 To Andra Chansen: Timoteij and Erik Linder. "Headlines" - Alcazar: the verse isn't really promising, but it goes into a Alca-tastic stompy chorus and I think the minute they take to the stage they will sell, sell, sell this one. On first hearing I don't like it as much as "Stay The Night" though. "Tonight" - Johannes Bah Kuhnke: not really much going on if this clip was anything to go by - a bit repetitive but it might be ok on the night, bit Robbie Williams-sounding. "Doctor Doctor" - Elin Lanto: I know she has a lot of fans and I'd like her to do well, especially with such a good writing team, but it's a bit standard Britney-pop off the conveyor belt. Again it will be all down to the performance. "Hur Kan Jag Tro På Kärlek" - Erik Linder: I really don't know which way this will go - the fact that Kenneth Gardestad is one of the songwriters may swing it, plus the fact that he was in "Sweden's Got Talent" - it's a nice song, maybe a little boring though. "Yeba" - Getty Domein: You get the idea that this is going to be one of those weeks where the songs are falling well short of expectations, and it will all be down to the stage performances. Same goes for this: it's different, and that may work for it. Or maybe not. "You're Out Of My Life" - Darin: arguably the most eagerly awaited entry in this year's contest...but despite the nice dramatic feel, the end result is a bit Westlife-by-the-numbers and a little reminiscent of "What About Now" (although I quite like that song) - anyway he's going all the way to Globen, and I'm looking forward to seeing him anyway. "Heaven Or Hell" - Crucified Barbara: good draw position which might sneak in and grab a qualifying position. It's girly emo-rock which wouldn't be out of place on a teen-flick soundtrack. So this week it's harder than ever to predict who's qualifying and going where .....anyway I'll have a guess that the Swedish viewing public will go for the established names this week and send Darin direct to Globen, then Alcazar will win the second round vote and take the second Globen place. To Andra Chansen: Crucified Barbara and either Erik Linder or Timoteij. Yes, Darin has the best song ("You're Out Of My Life"), but Mr L says it's not an MF winner; whilst Alcazar's "Headlines" may grow in stature when performed on stage. Otherwise he's not too enthusiastic. We'll all form our own opinions when the song-clips are revealed on SVT's website later today, and I'll be back here tonight to give my views on what I've heard. Here's hoping they're all better than last week's songs...! As usual, an interesting mix of musical styles. More information to follow. (Sorry for publishing this so late, purely for the reason that my blogging time's been a bit limited this week). It was inevitable that for me, this week's MF would be a massive anti-climax after last week's joyous opening heat. Having listened to the one-minute clips on Friday hadn't given me much inspiration either. But Melodifestivalen as an event is always greater than the sum of its parts, and sometimes you have to focus on other things. For this week, ladies and gentlemen, was all about ....Måns. Måns in the ladies' loos. Måns dancing with Christine. Måns in a nice outfit (the same could not be said for Christine Meltzer's horrific styling this week) and how cute was he with that nice little quiff!!! This week Måns and Christine did a little sketch impersonating MF presenters over the last few years, and if you're familiar with them then you may have found this amusing: and yes, I giggled at Måns' impression of the legendary Kristian Luuk. But what about this week's songs??? A purple shirt, a key change and a George Sampson shower moment at the end. This will be an absolute radio hit and I was in no doubt that it would be an absolute qualifier either. The downside was that it was a little too calculated to appeal to certain demographics of the audience, which isn’t the fault of young Eric but the co-writer Fredrik Kempe, who for me is increasingly personifying the definition of smugness. Now I know that FK has written his share of MF goodies over the years, but enough is enough. There is a real possibility that he will be competing against himself this year, Ralph Siegel-style. However, on this one showing Eric would appear to have promoted himself all the way into the Swedish boy-pop premiership, helped along no doubt by a high profile romance with Molly Sanden, who is currently competing in "Let's Dance". From the brief clip of I saw, it all looked very dark and she was styled like a modern-day Edith Piaf. Not too memorable a song either, but it has introduced me to her music which is actually a lot perkier than this song would suggest. Check out "If I Had A Little Moonlight" which is like Moneybrother with female vocals - top stuff. Strangely enough, there was something I liked about this song and I would probably listen to this after the contest. However the main problem for me was MiSt - I didn’t like her and I didn’t see the point of them being there. I liked the singer, but the military jacket was a bit pointless. This of course was the "web joker" but I can’t see them trying that idea again if it gets this kind of result. This week’s wildcard entry. No problems with her vocals - and she had that retro-cool Noisettes vibe going on, also a little reminiscent of VV Brown which is a good thing. She was fun and quirky, and very distinctively styled, but I’m a sucker for a memorable tune - where was it? I wasn't sure at this stage whether she would qualify or not. Green jacket, light beams and a big swaying ballad in the style of "Rule The World", don’t you think? When the whole audience started waving lights around, it was at that moment that Globen was a certainty. However I wasn’t too thrilled about this song - on first hearings it was a bit mediocre, nowhere as great as "Glorious" nor as memorable as "Sing For Me" and "A Little Bit of Love". (Although a couple of days later the tune popped into my head, so I guess it's maybe more memorable than I first thought). More swaying, this time of a folky nature. They may not be the most visually appealing act ever at MF, but there was something very sweet and simple about this, as with much of his other material in the Svensk-folkmusik tradition. It got a massive cheer in the stadium, and I had it as a qualifier, but to which round I didn’t know. By this stage of the proceedings I was feeling pretty grumpy, and bearing the brunt of it was the final contestant Hanna Lindblad, who went all out to be contemporary in a GaGa/Britney style but it left me cold, purely because I wanted, and expected, more. No doubt it will be a massive hit and may grow on me and I may love it in a couple of weeks....but then again I may not. No Dolph on presenting duty this week, but the superhero on a Segway scooter kept us all entertained on his mission whilst the votes were being counted. This week's interval act was Glada Hudik theatre, a very special group of people who provided an inspirational moment with the song "Sverige" written by Joakim Berg. Then along the way something very un-SVT-like happened: the webstream crashed, forcing us all over to the Sveriges Radio stream. Anyway "Manboy" won heat 2 outright, so Eric's off to Globen. I already have mixed feelings about this song and am a bit concerned that this may cancel Ola out, or they may cancel each other out, or there may be room in the Globen schlager universe for both of them? There is also room in Globen for Andreas once again, as he took his revenge for the "One Love" debacle. (But we'll just blame Carola for that anyway). Kalle & his Spelmän made it to Andra Chansen: trying not to throw in a pun here about "fiddling" the votes (!) but for me its qualification was never in any doubt. I'm happy for Pauline too: she did perform very well, but I wish the song was more memorable though, and I can't see her making it out of Andra Chansen to Globen. All in all I found week two to be a huge disappointment: next week has got to be better....because it's Darin and Alcazar week!! 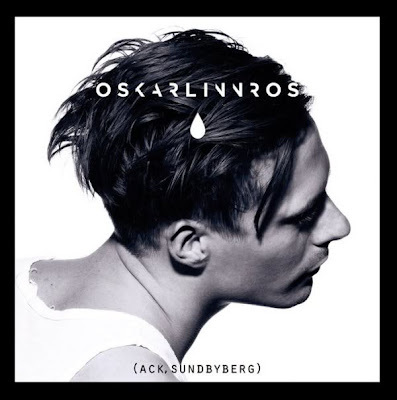 Sandviken songs in sixty seconds. "Manboy" - Eric Saade: That "manboy, manboy, you can call me manboy" hook is quite memorable on first listen. It initially sounds a bit too contrived though, as if "Baby Goodbye" was mixed with "If U Seek Amy" in a lab somewhere. But man, (or boy) this is a qualifier. And I really want to see him perform this one. "Hippare Hoppare" - Andra Generationen and Dogge: What’s Dogge Doggelito doing in a place like this? "Kebabpizza..." still gives me nightmares even after all this time. This probably will too. "Innan alla ljusen brunnit ut" - Anna Maria Espinosa: She has a very nice voice and this is perhaps more traditionally schlager than I’d originally imagined, but doesn’t really have a very strong hook and not memorable enough. "Come and Get Me Now" - Highlights & MiSt: This was the web-joker wasn’t it? Haven’t heard it till now. This mix of schlager and dansband should keep a lot of the traditionalists very, very happy indeed. "Sucker For Love" - Pauline: This week’s joker (wildcard) it’s perhaps more in that retro-contemporary style popular over the last couple of years. On first hearing very reminiscent of the Noisettes. But I’m disappointed that it lacks a distinctive hook. 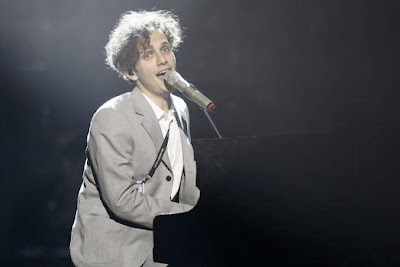 "We Can Work It Out" - Andreas Johnson: Big swaying ballad, swaying all the way to qualification if you ask me, although it wasn’t as instant as "Sing For Me" or "A Little Bit of Love" for that matter. But he's Andreas Johnson! And he deserves just one more chance after the "One Love" fiasco! "Underbart" - Kalle Moraeus & Orsa Spelman: Another chance for my "what the folk" blog post headline :) There is something nice and intrinsically Swedish about this and it’s softer and less obvious than, say, Nordman. If this taps into the Swedish soul it could be a qualifier. "Manipulated" - Hanna Lindblad: Perhaps the most contemporary of all this week’s entries, it sounds as it’s come right out of the top 40, the recorded version is overloaded with autotune and I wonder how she’ll perform it live on the night? Expect a good visual show here. Anyway you can't really judge a song/performance on 60 seconds so needless to say I'll be tuning in on Saturday night to see if any of them prove me wrong (or right). Sitting in front of the computer, watching the minutes and seconds ticking away on SVT's website ...and then nothing but a frozen screen. Happily it got going again just in time for the return of the schlager divas - Nanne, Charlotte Perrelli and Sonja Aldén who kicked off this year's Melodifestivalen party with "Holding Out For A Hero" (as opposed to Charlotte's "Hero"!) I wondered if their guest appearance was to appease all the schlager-traditionalists who thought that Christer Björkman had gone too far in modernising the contest this year? And another thing - can Ms Perrelli's skirts get any shorter???? Their song heralded the arrival of none other than Swedish Hollywood action hero Dolph Lundgren on a motorbike! Seemingly the ironic style of previous presenters Kristian Luuk and Petra Mede has also been replaced by a more straightforward presenting style for this year's competition. The presenters each took turns at introducing the songs. I also liked Måns' attempt to explain the changes in the voting system this year with that neat little diagram! So, on with the contest. This year's pre-song postcards are in comic book style with some background information about the artists, followed by short interviews with the artists themselves. But what about the songs? 1: Unstoppable - Ola. A.K.A. "The Return of Natalie", who, apparently, is coming back for more. A very catchy pop song with instant appeal and which will be one of the major radio hits to emerge from this contest. I liked this! The stage set was based around a mosaic-style design which changed for every song and didn't seem too intrusive. I liked the blue lighting during Ola's song and the pyrotechnics at the end! 2: A Place To Stay - Jenny Silver. In retrospect, this never looked like a qualifier but I thought that had more to do with her outfit and that stupid big gimmicky silver hand, both of which were just wrong, wrong, wrong. This was actually quite nice and subtle and hypnotic and there have been worse songs at MF, but it totally lacked any hook and didn't go anywhere. 3: "You're Making Me Hot-Hot-Hot" - Linda Pritchard. This promised so much but just left me cold-cold-cold. She was better than the song, (and her hair is brilliant too!) and although she pulled out all the stops to deliver a spectacle (and more pyrotechnics), the end result just reminded me of the five or six post-Paparizou wannabes who clutter up the Eurovision Song Contest every year with their mock-Shakira nonsense. We don't need another one. 4: "Road Salt" - Pain of Salvation. Based on the pre-contest one minute clip, I'd expected it to erupt into a Metallica-style classic rock ballad. It didn't, and accordingly lost my attention very quickly and my thought at the end of the song was - "is that it?". On the other hand, the simplicity of the performance set it apart from most of the other songs and yes, this is probably this year's "Snälla Snälla" after all. 5: "The Saviour" - Anders Ekborg. Don't you think the first verse was reminiscent of "Day After Day" (Azerbaijan's debut from 2008) or was it just me? Anyway this had some gimmicky staging and that chorus...."Il salvatoreeeeeeeeee". Still makes me think of "Just One Cornetto". It was all a bit Fredrik Kempe-by-numbers, (although not a Kempe song) and far too derivative of "La Voix". Happily the Swedish voting public, on this occasion, were far too smart to be fooled. 6: "I Did It For Love" - Jessica Andersson. Jessica was conservatively dressed (unlike most of the female artists on show tonight) with her hair tied back, standing still, giving a subtle and reasonably controlled performance of a very traditional ballad. It's all a million miles away from "Kalla Nätter" and "Kom" both of which for me were far, far superior to this 'heard it all before' song. Another blue-lit stage setting...and a key change. By that point I had this one as a definite qualifier, although it left me cold. 7: "Singel" - Frispråkarn. Poor old Frispråkarn in his cardigan, touting for business at 'Hotell Singel". All that staging didn't compensate for the fact that, although this is not the worst rap song ever, it was doomed from the beginning and would never have qualified in a million years. This year's new voting system meant that the song with the most votes went automatically to Globen. Once the phone lines closed, five song titles were read out. "KEEP ON WALKING"!!!!!!!!!! Salem direkt till Globen. At that point there was such a massive explosion of joy at EuropeCrazy HQ which shook the room when I jumped up and down with excitement!!!!! Then Salem gave a reprise of "Keep On Walking" which is a real grower. By the time the final comes around, hopefully everyone should love it! (although on the down side, the later songs will be more fresh in the mind of the Swedish voters) However I am so happy that Salem has made it to Globen. Salem's appearance in Melodifestivalen has also raised his profile significantly in Sweden, which was proved by statistics published on Friday that he had more Swedish media articles written about him during MF week than any other artists appearing last night. Then there is the international recognition: that one appearance last night will have gained Salem many new fans from outside Sweden - so it's about time that he was finally launched internationally! Thankfully the stupid duels and the pointless international jury have been ditched at this stage of the contest. The next round of voting would determine the second Globen qualifier and the two going to Andra Chansen (where the duels will return). "Unstoppable"! Really delighted about this as it was my second favourite song of the night. "Road Salt" and "I Did It For Love" to Andra Chansen. Apart from a very satisfying result, I thought Måns did very well on presenting duty and as I said earlier, Dolph was great. I was less impressed with Christine, maybe it was just the webstream but she seemed to be pulling some strange facial expressions (!) and she was a bit shrieky at times. My opinion may change - after all I wasn't keen on Petra to start with and grew to love her, so anything is possible, but I feel she lacks the sufficient personality. Norway, Denmark and Iceland finals tonight, I'll be watching Melodifestivalen webstream of course and will catch up with the others later. MGP is probably a foregone conclusion with that Didrik fella (meh) but I'm cheering on A1 and Alexander Stenerud. Haven't heard the Danish/Icelandic songs due to being completely Salem/MF focused over the recent fortnight (which will also explain the shameful lack of posts on this here blog) but I was impressed with the standard in last year's Danish final so am expecting another good one!! Salem Al Fakir in Melodifestivalen tonight! Salem will sing "Keep On Walking" tonight in the first Melodifestivalen heat in Örnsköldsvik. I think he'll have a lot of new fans after tonight! So it's time for a gratuitous quick plug here: check out my fansite Planet Salem if you want to find out more about Sweden's greatest living musical genius! Of course it will be up to the Swedish viewers whether or not Salem qualifies to Globen or Andra Chansen: we will find out the answer just before 9.30 pm Swedish time tonight. SVT published one-minute clips of the songs yesterday. Based on what I've heard, the competition is wide open and I keep changing my mind about who I think will qualify. "Unstoppable" - Ola: it's a likeable catchy pop song, cashing in on his previous hit Natalie ("Natalie is coming back for more") - this will be a massive radio hit although I don't like it as much as "Love In Stereo" from 2 years ago...and I wonder if his vocals may let him down? However he is now high profile enough to be a guaranteed qualifier. "A Place To Stay" - Jenny Silver: this is a strange one. It's got a club vibe and reminiscent of Madonna in places, although her reliance on the big silver hand may just be a distracting gimmick too far. "You're Makin' Me Hot-Hot-Hot" - Linda Pritchard: I like her because she's got red hair, and all us red haired girls must stick together, but it's all a bit too conveyor-belt for me with a 'Single Ladies' type backing track and a pop diva sound, it could end up with a "Disconnect Me"-type result. "Road Salt" - Pain Of Salvation: I expected something different from this rock ballad - the clip didn't really go anywhere and would need to hear it in full before making a judgement. Based on the success of Takida over the past couple of years, don't write this off either - it could provide a "Snälla Snälla" surprise result. Or flop completely. "The Saviour" - Anders Ekborg: "Just one Cornetto" anyone? This is just a bit too obvious and too close to last year's winner to take seriously. Nevertheless its theatrical rock-opera style will find an audience among the traditionalists and I'm sure he'll sing it well. "I Did It For Love" - Jessica Andersson: this one has been compared to "Empty Room" and will probably be performed in the same style. An old fashioned swaying ballad, which again will win over the traditionalists - but I'm disappointed with it and wish she'd sung something uptempo. "Singel" - Frispråkarn: reasonably decent well-staged rap song here, but rap doesn't really go down well at MF and therefore I'd say it won't go further. "Keep On Walking" - Salem Al Fakir: no gimmicks, just Salem sitting at his piano, with a song with uplifting lyrics and a complex, breathtaking musical arrangement. Based on the one minute clip it may be too musically ambitious for some Melodifestivalen fans, but whether he wins or loses that won't change the fact that this is a fantastic song. Bring it on!! There were positive reports from last night's dress rehearsal about the new MF presenters Dolph Lundgren, Christine Meltzer and Mååååååååååååns Zelmerlöw so I hope they give us a good show too. I'll be back here later tonight with my thoughts.